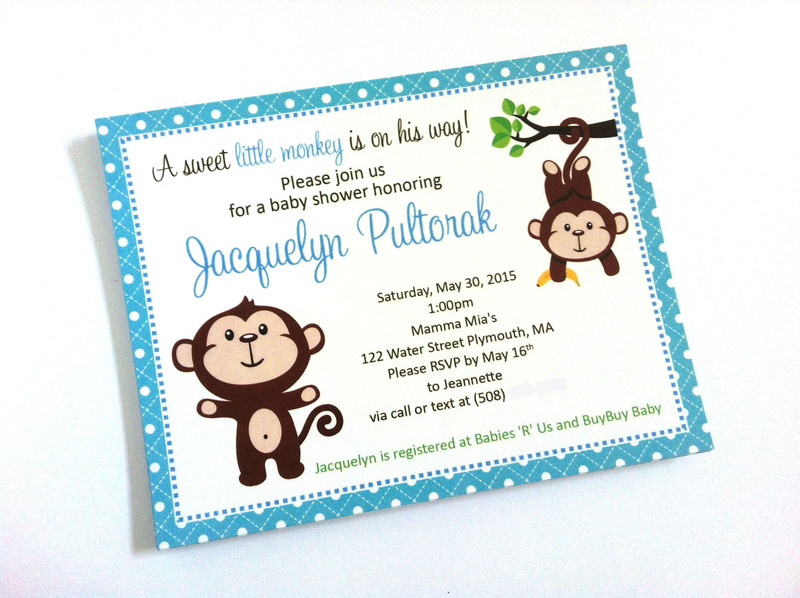 This is a set of 10 (ten) beautiful and fun printed Monkey Party Invitations. 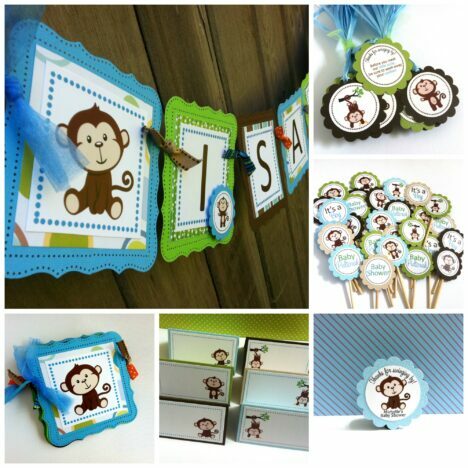 Cute little monkey is a popular party theme for baby shower or birthday party. 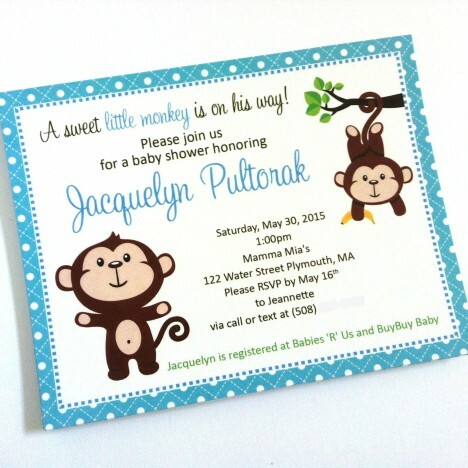 Let’s honor the mom-to-be and her sweet little monkey that is on his way with a unforgettable celebration. 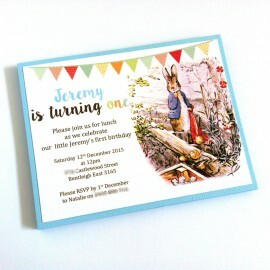 The invitations shown are in blue for a boy’s party. 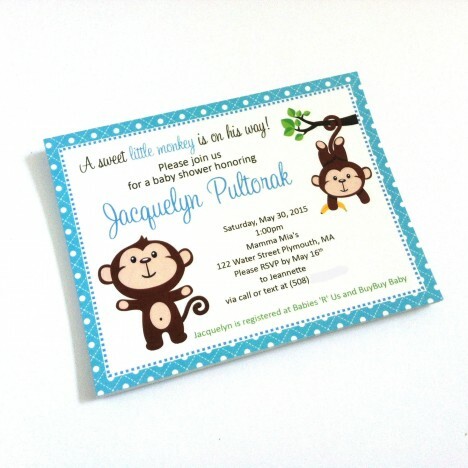 We can also do monkey invitations for a girl’s party. 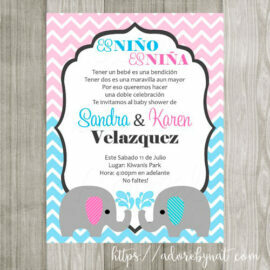 Simply ask us and we will make it happen! 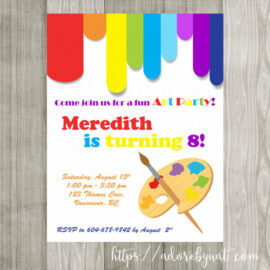 We do all the designing and printing, so you don’t have to. 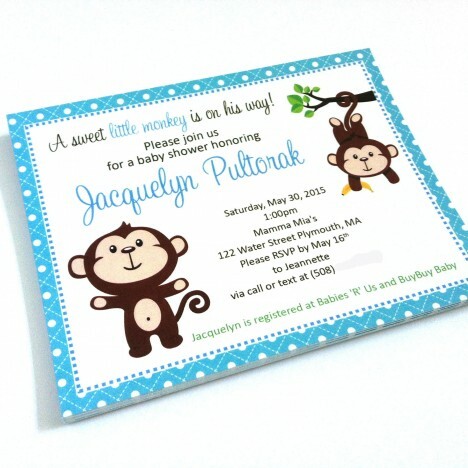 After all, we know how busy everyone is and printing it yourself may not always be cost effective. 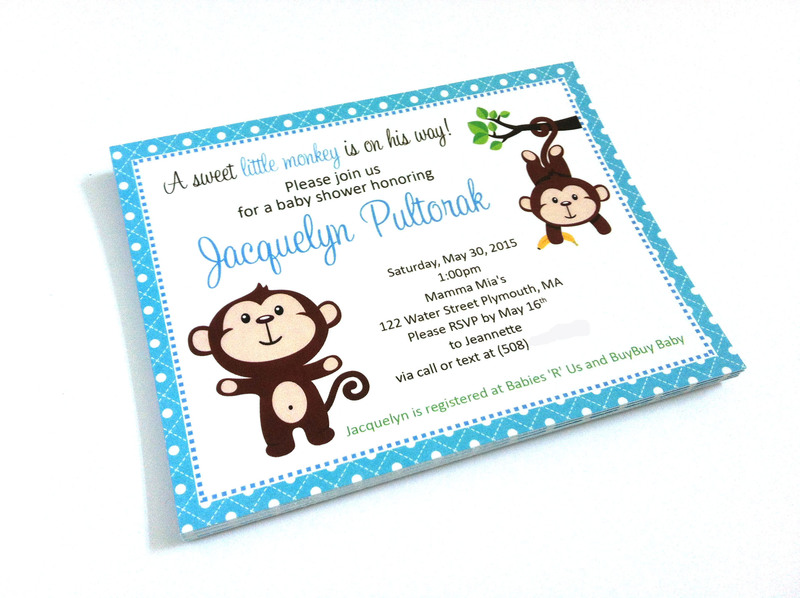 However, should you like to do a DIY project, this Monkey Party invitations set is available as printable version as well. 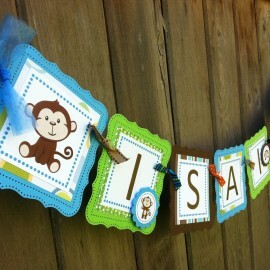 Please let us know should you like to purchase the printable version. 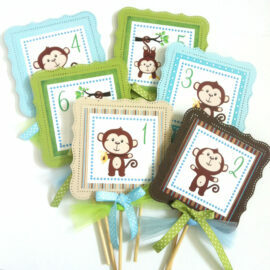 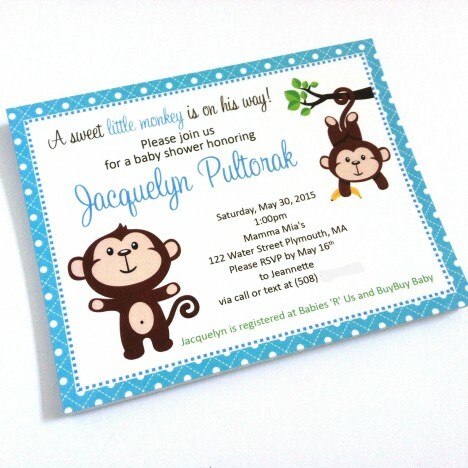 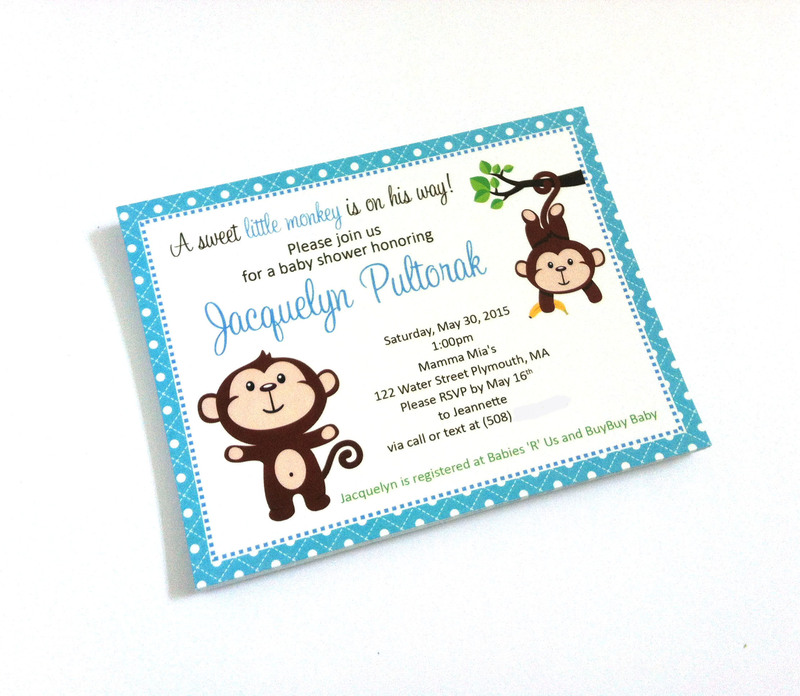 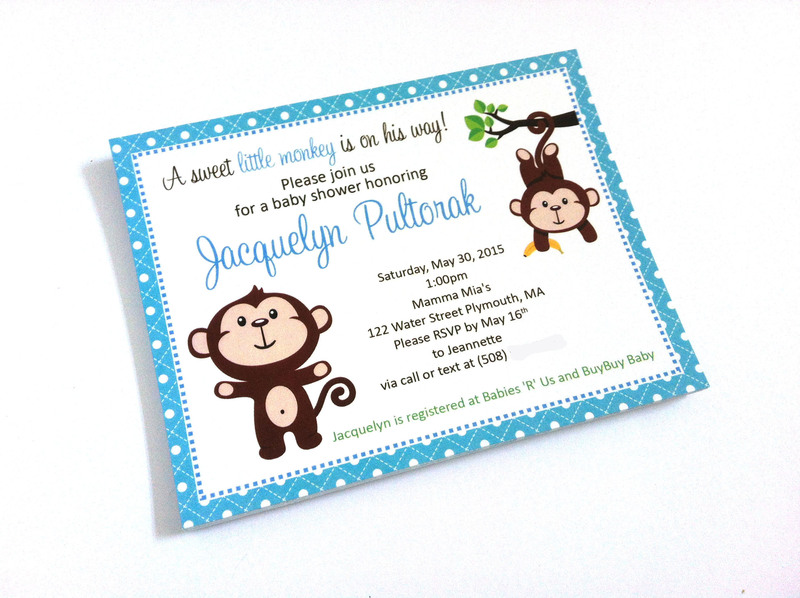 Each of these Monkey Party Invitations measures 5.5″ x 4.25″ and comes with a white envelope. 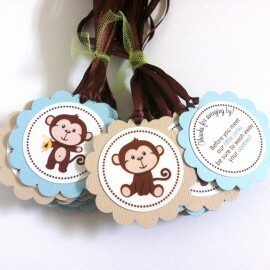 More coordinating Cheeky Monkey Decorations for boys and girls can be found at Monkey Party Decorations album in my Facebook Page.